Finally, I’ve been able to read and review some new Oz material! There are some significant spoilers in this post. The Royal Explorers of Oz, Book 4: Into the Wild, by Marcus Mebes and Alejandro Garcia – What was originally a trilogy now has another volume, taking place about a decade later, and with Jared Davis and Jeff Rester no longer credited as co-authors. From what I’ve heard from Jared, he didn’t contribute that much to the first three anyway. It continues the trend of being rather dark for Oz, but also remaining consistent with the main series. There’s a bit of sexual tension as well, in that both the sailor Eli Sullivan and Kayoko, the orphan girl King Ato adopted, have fallen in love with Tandy, who’s still pining for Sally. The story works the song “Puff the Magic Dragon” into Ozian continuity. Basically, after Jackie Paper grew up, the land of Hona’Lea (as Marcus spells it) has become a place of intense desire and human sacrifices to the dragon. A brief comment also suggests that Jinnicky has met one of the three tessering women from A Wrinkle in Time. There’s also a return to Tarara to tie up some loose ends from the earlier books, and a connection made between one of Marcus’ original characters and some familiar Ozites. The tale follows up on Paul Dana’s books, featuring Button-Bright and Ojo’s magic powers and the former Phanfasm Jandilay. King Anko returns, here acting more like a classical god than the vaudevillian creature he was in The Sea Fairies. He’s revealed to be the offspring of Apsu and Tiamat from Babylonian mythology, and Zog is said to be the same as Dagon. 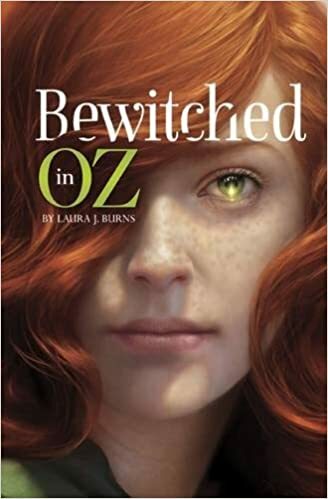 Bewitched in Oz and Magic Below, by Laura J. Burns – I’d seen these on Amazon, but I couldn’t really tell from the descriptions whether they were consistent with the originals. Joe Bongiorno told me they were well-written and that the author was familiar with the series, so I checked them out. 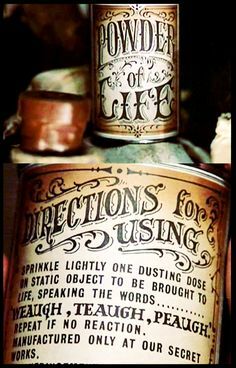 There are several references to places like Bunbury and Big Enough Mountain, the Glass Cat plays a significant role, and some of the author’s original ideas fit in well with Oz as L. Frank Baum developed it. There are some aspects that don’t really fit with the main series, however. It’s revealed in the first book that Ozma’s magic ban was actually just so she could find people with magical talents to help her out, and Bungle claims to have left the Emerald City after finding out about the ban (as per Baum, by the time she met Ozma in Patchwork Girl, the ban had already been instituted). Ozma also has intelligence showing that Glinda has turned against her and allied herself with the Nomes, but we’ll have to wait for future volumes to see whether that plays out in a way that’s possible to reconcile with the characters and events of the main series. There’s an element of teen drama, in that in addition to having magical powers they try to keep secret, the female characters are concerned over liking the same boys, and whether these boys like them back. It’s not something we see that much in Oz stories, and I’ve seen at least one online review saying it ruined the story for them. I can see that, but on the other hand, I guess there’s no reason why Ozian teenagers can’t act like teenagers. The first book is about the characters using their talents to travel through the Quadling Country to reach Glinda’s palace, in hopes that she can help them. The second focuses largely on the main viewpoint character, Zerie Greenapple, whom Ozma turns into a mermaid so Glinda won’t be able to track her. There’s a reference here to the Pearls of Pingaree, but here they’re different colors and work more subtly. They’re also said to be a gift from Prince Inga of “the Faraway Isles”; after the use of several names from the original books in the first volume, why couldn’t they just call it Pingaree? I suppose these could be different pearls than the ones in Rinkitink. 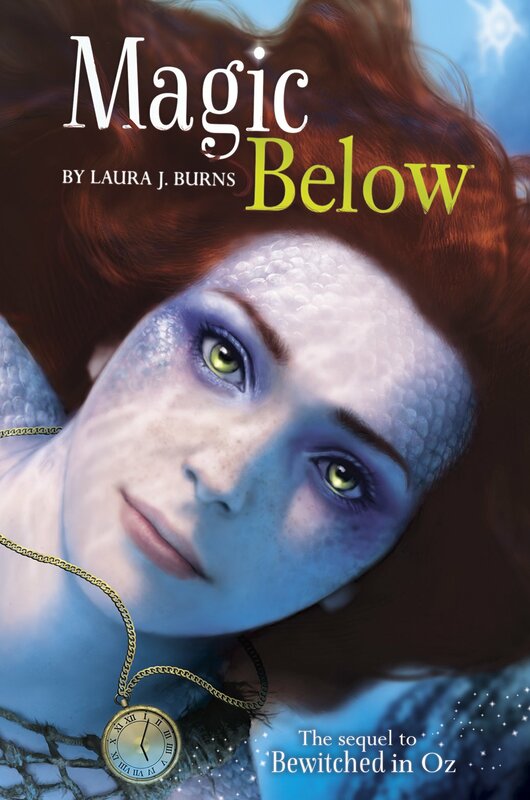 The story of Magic Below also seemed a bit thin compared to the first, but I guess Burns is saving significant plot developments for future installments. 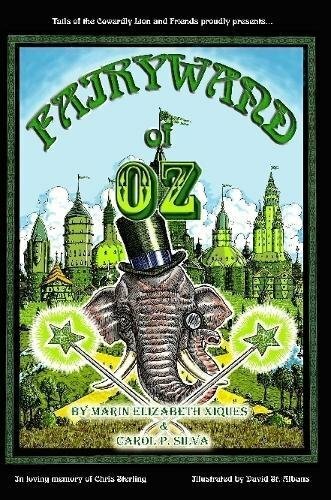 Fairy Wand of Oz, by Marin Elizabeth Xiques and Carol Silva – Like Chris Dulabone, to whom I think she was married at one point (I don’t know the current status of their relationship), Xiques is quite familiar with the Oz books, but is prone to including jokes that really don’t fit the context and occasional lectures. The plot involves Ozma taking a vacation by switching places with Kelly, the protagonist of Hurray for Oz, who is now working as an apprentice tooth fairy. Kelly has to deal with well-meaning friends of Ozma’s suspecting she’s not who she says she is, while Ozma finds the United States understandably disturbing. That said, there’s one mental rant she makes that doesn’t seem entirely in character. She complains that schools waste time of teaching African tribal rituals instead of practical matters, and of “[t]hrusting the theory of evolution upon them as if it were the only theory.” I think this could have worked in the sense that Oz has methods of spontaneously creating life, and Ozma has several friends who quite demonstrably DIDN’T evolve. As it is, though, it sounds like she’s suddenly become Southern Baptist or something. I can’t say I find the recurring character Egor all that interesting, but I do think the Eggplant Armadillo is a clever creation, and there’s a brief but fun appearance by Kabumpo. So I liked it overall; I just think it’s probably possible for writers to be a little more subtle in working in their own beliefs. This entry was posted in Babylonian, Book Reviews, Characters, Chris Dulabone, Jared Davis, Jeff Rester, L. Frank Baum, Magic, Magic Items, Marcus Mebes, Marin Elizabeth Xiques, Monsters, Music, Mythology, Oz, Oz Authors, Places, Ruth Plumly Thompson, Semitic, Sexuality and tagged a wrinkle in time, alejandro garcia, apsu, bewitched in oz, bungle the glass cat, button-bright, carol silva, dagon, fairy wand of oz, glinda, hurray for oz, into the wild, king anko, king ato, laura j. burns, madeleine l'engle, magic below, mermaids, ojo, ozma, paul dana, pearls of pingaree, phanfasms, pingaree, prince inga of pingaree, puff the magic dragon, red jinn, rinkitink in oz, tarara, the patchwork girl of oz, the royal explorers of oz, tiamat, zog. Bookmark the permalink.